While making our way from Longmont to Fort Collins we drove through the small town of Lyons. We were originally just looking for a spot to buy some of Oskar Blues famous Pale Ale in a can when we stumbled upon a pinball museum of sorts. Lyon’s Classic Pinball is essentially the house of a pinball enthusiast who turned it into an arcade. There were over 35 pinball games from the 1960’s to 2000 with such rarities as the world’s largest pinball machine and the only three tiered pinball game made. We had a blast playing the only two player (versus) pinball game where you stand across form each other and try and send balls to your opponent’s side. 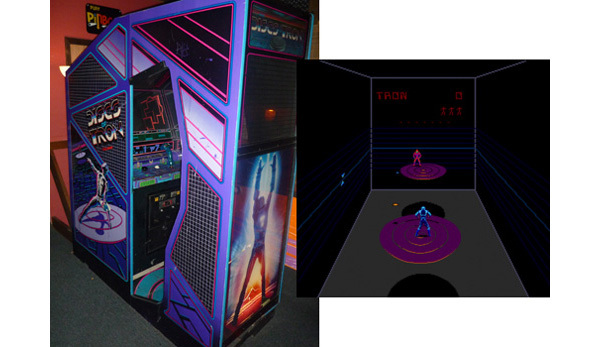 One of my favorite’s was the Disc’s of Tron (based on the game played in the movie Tron) video game that had to be one of the first games to try and use 3D video projection that would make dizzy if you looked at it too long. After some retro fun we were on to Fort Collins via Estes Park. Maria had looked up a cool dog park in Estes with three different sections and a swimming area. When we arrived we were excited to see that they had a mini obstacle course for dogs. Our immediate thought was “Oh, Ernie would love to do this!” Turns out Ernie wasn’t interested, but Buddha picked it up right away. After a couple of times showing him how to go up and down the ramp he was running the course like a pro. As you can see he had trouble with the last jump, but we just wrote it off as a prejudice obstacle.